1.4 mm PU Two Tone Shine. Laminated with high class 4 Poly. Designed as per wish of Professionals. Meet / exceeds and FIFA Inspected level. 1.4 mm PU Two Tone Shine. Laminated with high class 4 Poly. Designed as per wish of Professionals. Meet / exceeds and FIFA Inspected level. These balls can be made in any colors and designs. 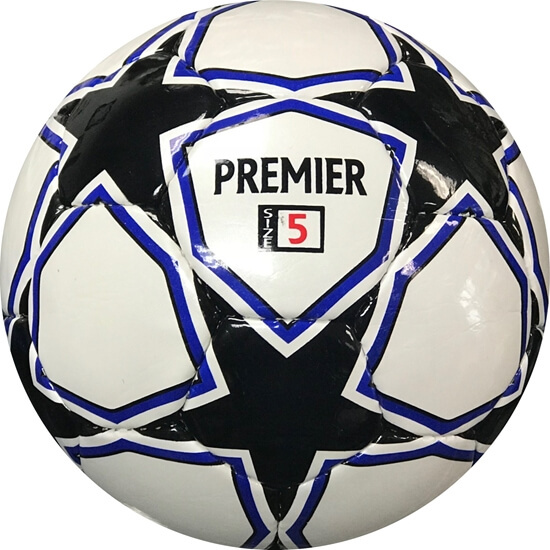 Perfect match level ball available in traditional 32 Panels (20 Heagons & 12 Pentagons). The ball weighs between 410 to 425 gms in official size 5. With our lamination process we can increase or decrease the weight of the ball based on your preference.